Described as the scent of Eve in an English paradise, Stella McCartney’s new scent L.I.L.Y. captures a vision of nature in its most sensual form. The fresh yet sumptuous fragrance draws its inspiration from a luscious bouquet of lily of the valley, a bloom that Stella herself carried on her wedding day. From the delicate green stalk to the pure white bloom, every aspect of the flower is made luminescent. A luxurious twist of black truffle together with black pepper from Zanzibar add a uniquely earthy aroma, representing the full, blossoming sensuality of a woman. LILY is an evocative scent made up of Stella’s most treasured memories. The name of the fragrance is her father’s nickname for her mother, ‘Linda I Love You’, and the bottle is reminiscent of the English cut crystal vases and the ornate frames at her grandmother’s house. A wonderfully orchestrated scent that Stella fans will love! 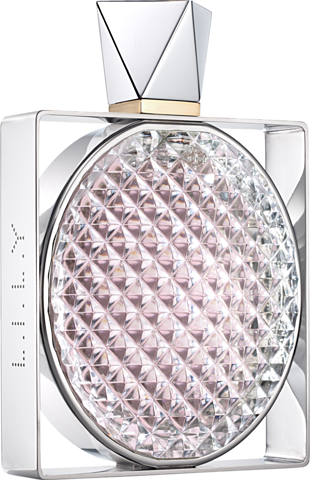 This entry was posted on Thursday, February 16th, 2012 at 8:00 am and is filed under Fragrance, New products. You can follow any responses to this entry through the RSS 2.0 feed. You can skip to the end and leave a response. Pinging is currently not allowed.